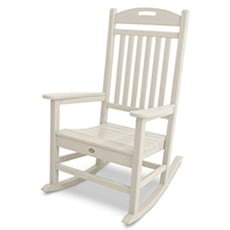 Teach your grandkids how to read or share a quiet moment with your sweetheart in the relaxing comfort of an outdoor swing or glider. 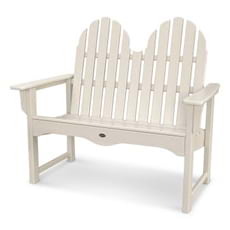 Built for one or two people, swings and gliders add a soothing calm to your arsenal of outdoor seating. 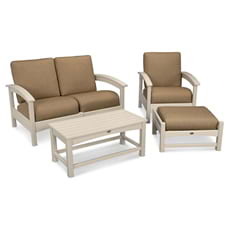 Open up new possibilities in your outdoor areas by installing a swing or glider. 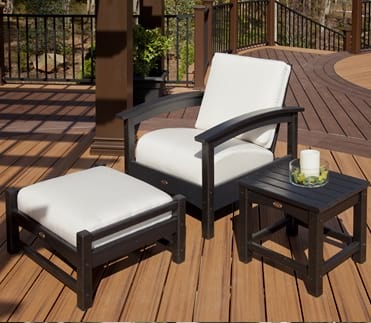 Quickly transform a cozy patio or garden path into a relaxing haven with that signature smooth motion that allows you to unwind and forget your troubles. 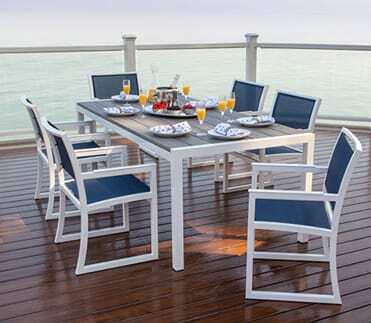 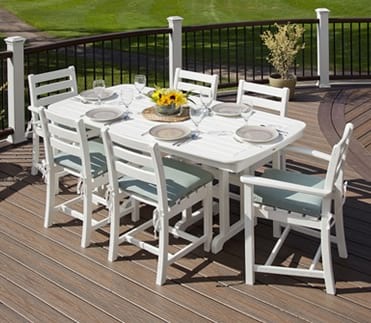 At Trex Outdoor Furniture we created our Yacht Club Swing for extended contoured comfort when gently swaying back and forth on your deck or patio. 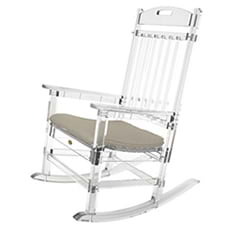 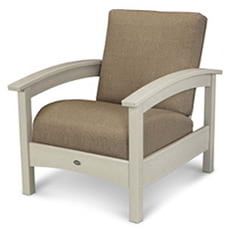 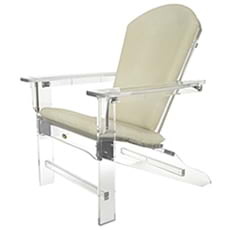 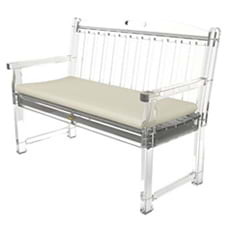 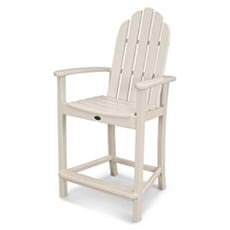 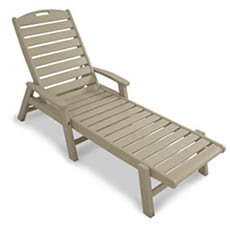 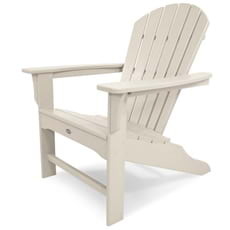 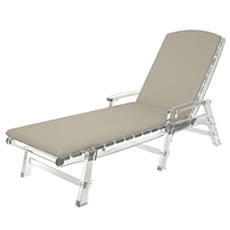 If you prefer to glide outdoors where a swing can’t be installed you can order our Cape Cod Adirondack Glider in two-seat or single-seat options. 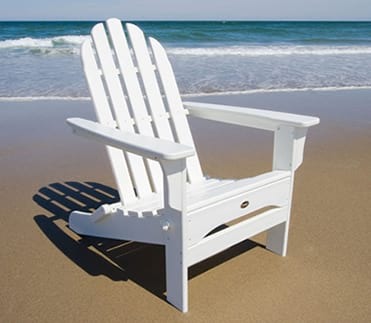 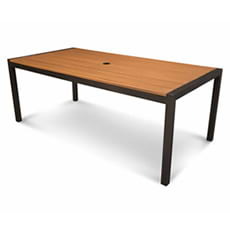 All choices enable you to rock back and forth in a controlled motion so you can snooze the afternoon away or simply take a well-deserved break from your hard work. 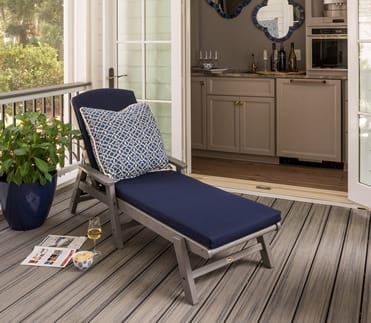 Whether you install a swing on your porch or a glider in your yard you can add a little more sway (and a lot more comfort) by topping the seat with one of our high-performance Sunbrella® cushions. 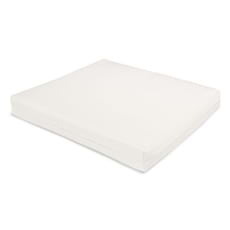 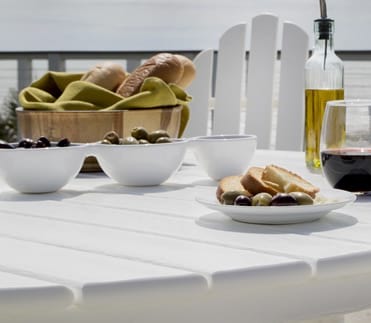 The weatherproof fabric guards against moisture, combats bacteria buildup, and retains its color. 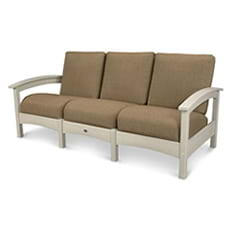 The cushions are available in a variety of colors and patterns to serve as the perfect accent to a neutral space. 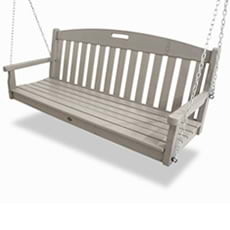 We use genuine POLYWOOD® HDPE lumber in the construction of our outdoor swings and gliders to guarantee a timeless resilience that looks terrific and repels the elements. 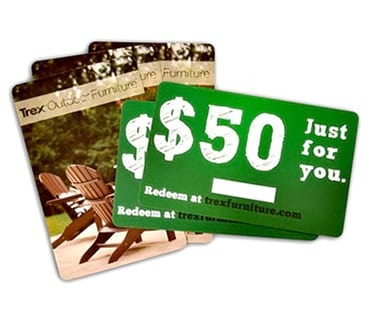 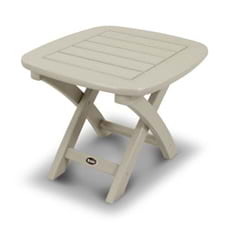 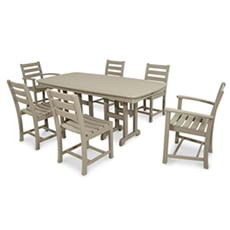 The outdoor swings and gliders at Trex Outdoor Furniture can withstand harsh weather conditions like torrential rain, intense heat, thick snow, and biting cold winds. 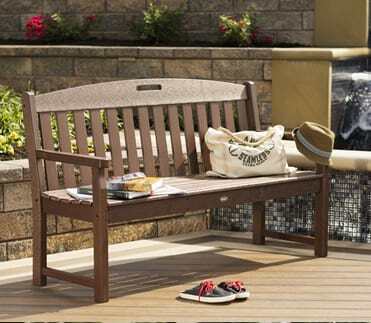 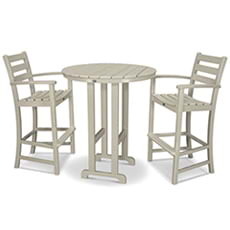 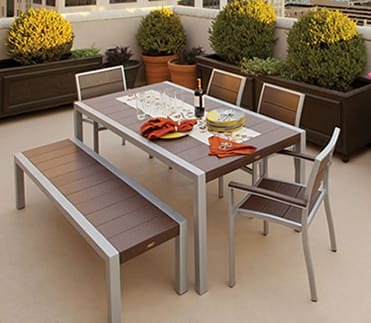 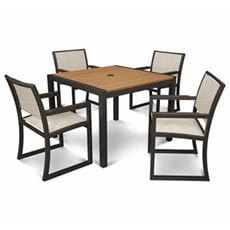 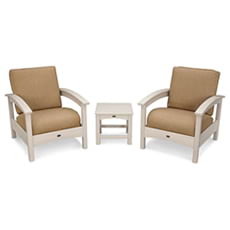 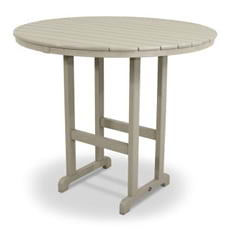 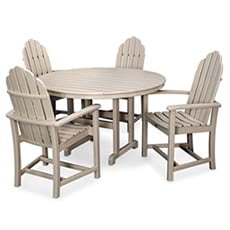 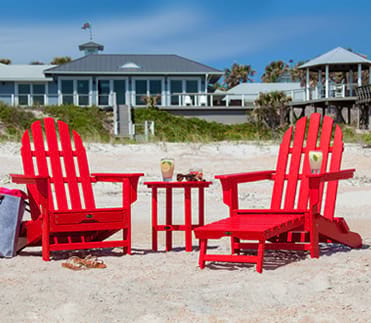 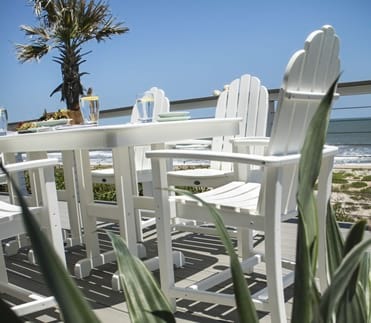 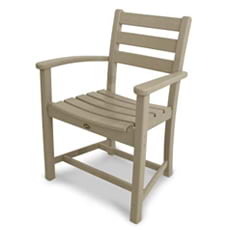 Like our other outdoor furniture pieces our outdoor swings and gliders are fade-resistant and won’t splinter, rot, peel, or crack in the aging process even when left outside year-round. 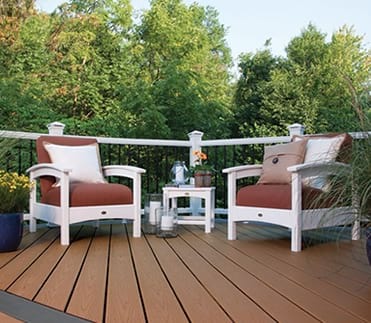 No matter what climate you live in we back up both our durability claims and our expert craftsmanship with a 20-year limited warranty. 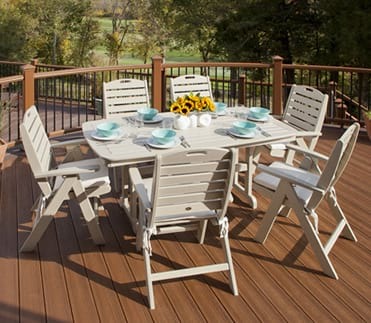 While your outdoor swings and gliders will stand up to whatever Mother Nature throws their way muck and grime can still collect on the lumber. 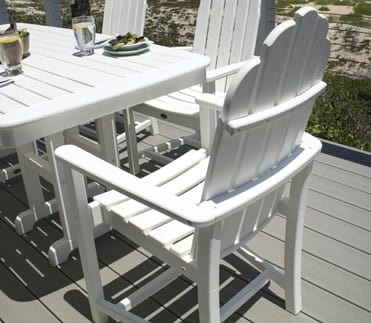 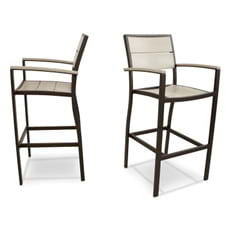 Easily clean your outdoor furniture by using a mixture of warm water and mild soap, gently scrubbing it with a soft-bristle brush. 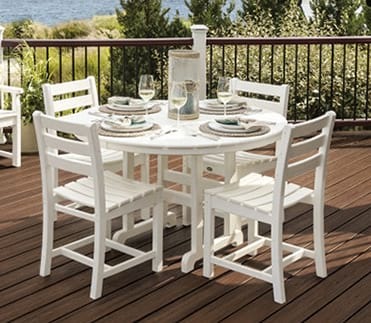 For in-depth cleaning tips head to our blog. 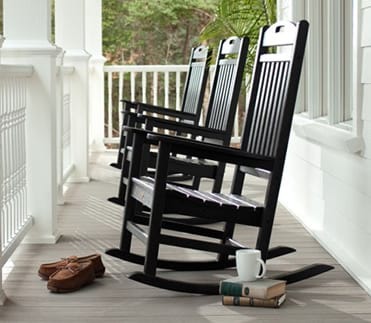 Outdoor swings are synonymous with your front porch. 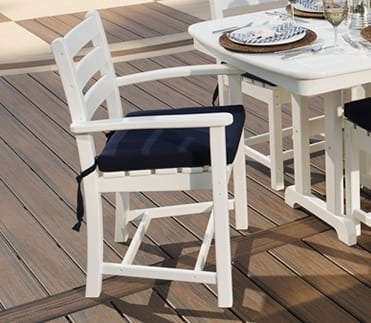 Our Yacht Club Swing is an impressive blend of style and casual comfort that comes with a zinc chain kit for easy installation. 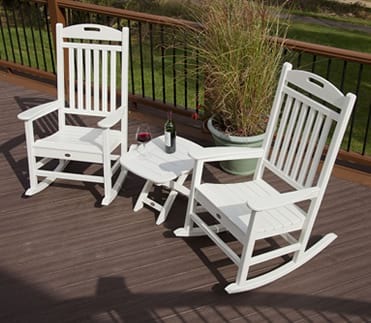 Cape Cod Adirondack Gliders are ideal for small paths and gardens so you can rest your feet and marvel at your progress after a day of landscaping and upkeep. 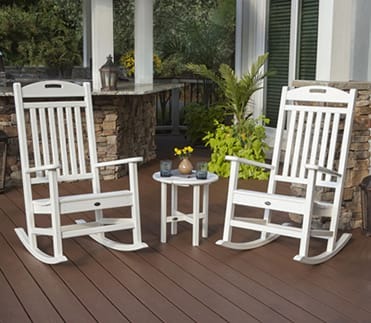 Muck and grime easily wipes away so you aren’t afraid to get your hands (or glider) dirty. 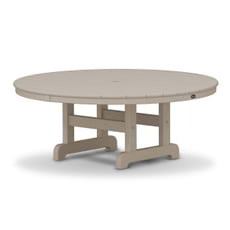 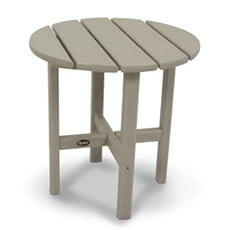 Built from solid HDPE lumber, our outdoor swings and gliders are sold in our signature seven different color options spanning Earth tones and neutral hues. 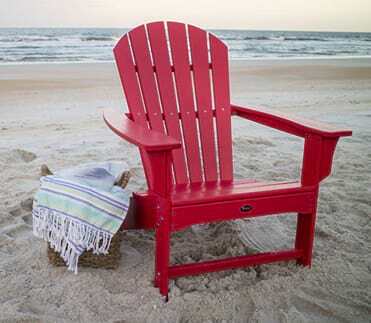 Each color runs all the way through the lumber so there’s no risk of fading or peeling. 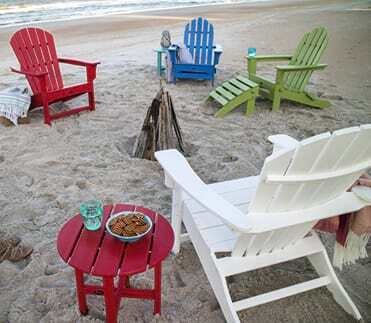 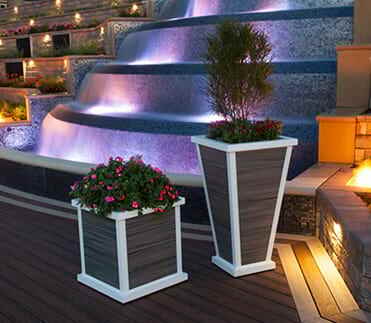 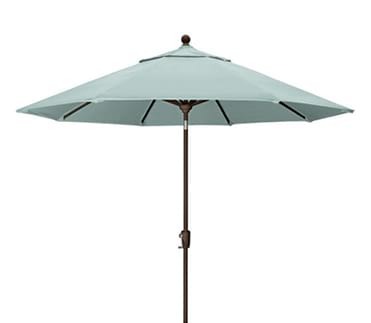 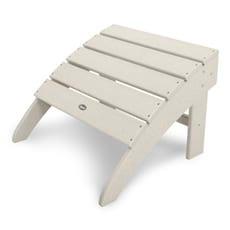 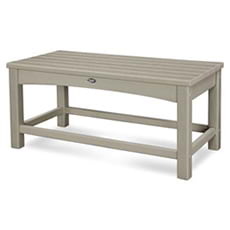 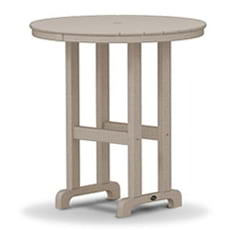 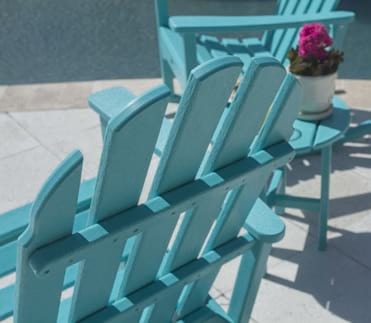 Choose the color options that best complement your outdoor space.